"The CFDP16610 from British General is a fully loaded, dual RCD High Integrity 10 Way Consumer Unit. It offers flexible configuration of up to 5 RCBO ways on the main switch and up to 7 ways on each RCD. 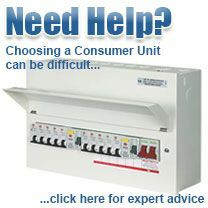 The MCBs supplied with the consumer unit are 3 x 6a, 1 x 16a, 2 x 32a, 2 x 40a - but this may be changed if required. 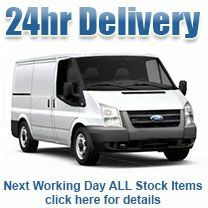 The enclosure is manufactured from steel and is fully amendment 3 compliant. It is finished in high gloss white and features attractive curves, softening the look if it's to be fitted somewhere visible. In short, this is a great high integrity consumer unit at a great price."